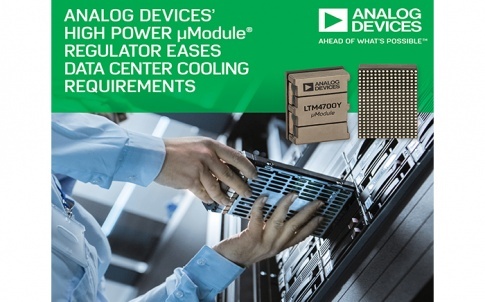 Analog Devices announces the Power by Linear LTC3351, a supercapacitor charger and backup power controller IC that includes hot-swap front-end protection and all the features necessary to provide a complete, standalone capacitor-based backup power solution. The LTC3351’s integrated hot swap controller and circuit breaker use N-channel MOSFETS to provide a low loss power path from the input to the output, plus foldback current limiting to reduce inrush current. 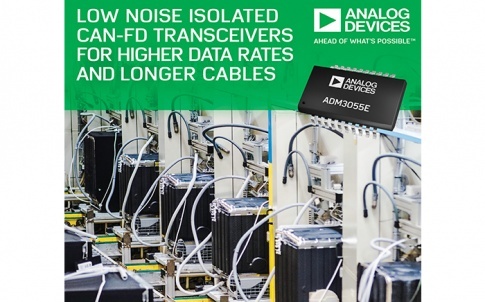 The device enables reliable short-term uninterrupted power in the event of a main power failure for applications such as solid-state drives (SSDs) and nonvolatile dual in-line memory modules (NVDIMMs) data backup, power fail alarms in medical and industrial applications and “dying gasp” power fail indicators. The LTC3351 provides PowerPath™ control, capacitor stack charging and balancing, protection and capacitor health monitoring. 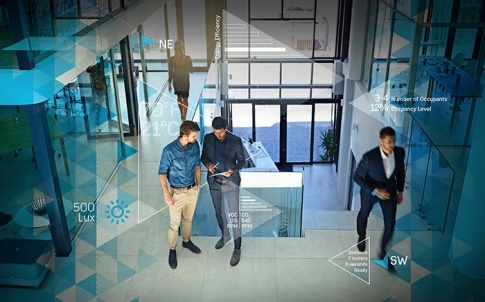 Other applications include high current 12V ride-through supplies and short-term uninterruptible power supplies (UPS) for servers, mass storage and high availability systems. The LTC3351 features a 4.5V to 35V input voltage range and over 10A of charge/backup current capability. The device also provides balancing and overvoltage protection for a series stack of one to four supercapacitors. The LTC3351’s synchronous step-down controller enables constant current/constant voltage charging of the capacitor stack at up to 5V per cell. In backup mode, the step-down converter runs in reverse as a synchronous step-up DC/DC to deliver power from the supercapacitor stack to the system supply to be backed up. 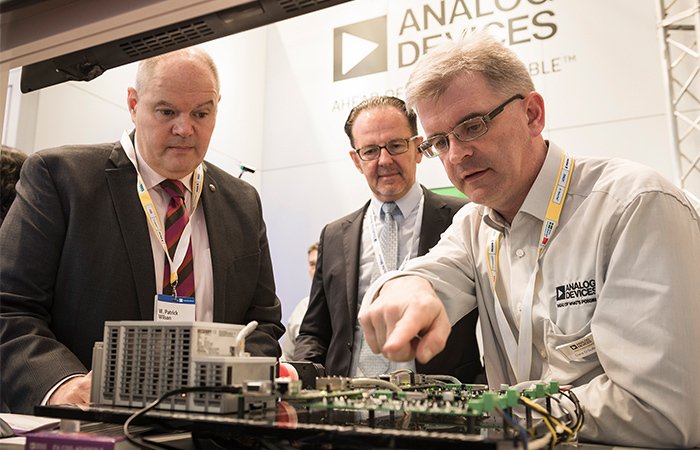 The hot swap controller provides programmable UV/OV thresholds, PCIe compatible start-up timing and a precision threshold /RETRY input. 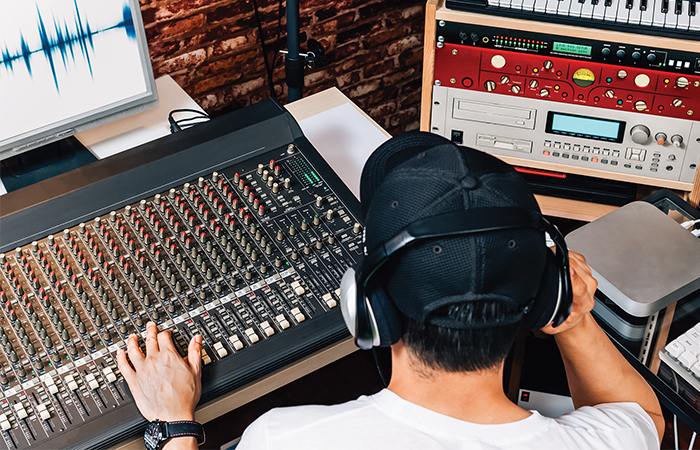 The LTC3351 includes an accurate 16-bit analog-to-digital converter (ADC) which continuously monitors input and output voltage and current. In addition, the internal measurement system monitors parameters associated with the backup capacitors themselves, including capacitor stack voltage, capacitance and stack ESR (equivalent series resistance) to ensure adequate energy storage and power delivery during backup. 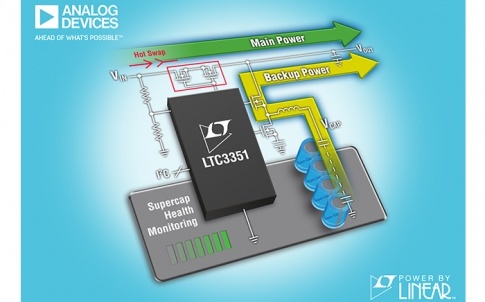 By monitoring the actual capacitance of the backup supercapacitors, the LTC3351 provides longer capacitor life by enabling the system to set the capacitor voltage to a minimum value while ensuring the required backup energy is maintained. All system parameters and fault status can be monitored via a 2-wire I2C interface, and alarm levels can be set to alert the system to a sudden change in any of these measured parameters. The LTC3351 is available in a thermally enhanced 44-lead, low profile (0.75mm) 4mm x 7mm QFN package. 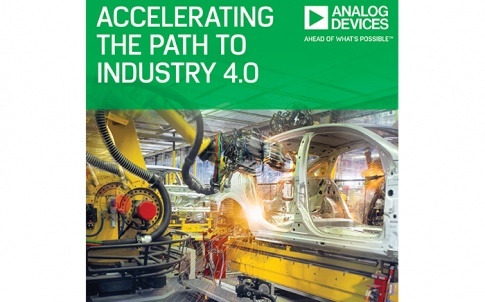 The device operates over a –40°C to 125°C junction temperature range and is available from stock. For more information, visit www.linear.com/product/LTC3351.